The O2 is the world’s most popular music and entertainment venue and in 2018 was named Pollstar’s ‘International Venue of the Year’ for the tenth time. 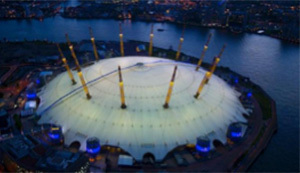 In addition to the arena, The O2 is also home to indigo at The O2, a live performance space; Up at The O2 – an experience that allows visitors to walk across the iconic roof; a vast multi-screen Cineworld complex; the 12-lane boutique Hollywood Bowl; The Avenue, which features 26 bars and restaurants and several upcoming attractions including ICON Outlet, a new destination for premium outlet shopping, ‘Mamma Mia! The Party’, an immersive theatrical and dining experience and an Oxygen Freejumping trampoline park. The mission statement at The O2 is to deliver memorable experiences that wow, thrill and excite fans. It’s important that I stay aligned with our business objectives whilst supporting and facilitating the diverse range of tenants, partners and brands we have across the campus. It’s vital that I understand the expectations of our visitors around safety and security – getting the balance right between ‘security operation’ and ‘seamless visitor experience’ is essential. I want our visitors to feel reassured and comfortable that the venue is a safe place to visit. I also want them to feel part of a community. Visitors, staff and partners alike should feel that they can freely tell us if they see or notice anything that concerns them. We want the opportunity to prevent any security or safety incidents from developing and so I want to employ everyone in the arena and surrounding areas as my network of eyes and ears. We see similar strategies within community policing and more recently such strategies have been adapted to help counter criminality and terrorism through Project Servator. This model of engaging and employing your community to help identify and report their suspicions is one I support and encourage at The O2. For every security scheme or feature my team develop, there is usually a dual and divergent objective we’re trying to achieve. There will be two aims; improve the visitor experience and deter criminality. We will consider how our security operations complement or enhance our visitor experience and we want to reassure our visitors that the venue is a safe environment to spend their time in. They should feel relaxed and protected at all times. The same security features should also deter criminality. We aim to exploit criminal vulnerabilities by promoting effective security. The criminal or hostile wants to succeed, so if there is even a slight risk of failure they will be deterred. Like many other iconic destinations and venues, we are constantly reviewing our security measures. It’s imperative to our prevention strategies that our security operations are unpredictable, sometimes impulsive and always effective. We adapt our operations accordingly to combat the constantly evolving risks and threats that we encounter. We employ a diverse range of teams to protect our visitors including search dogs, police teams, security, stewarding, search officers, guest relations and specialist surveillance teams. These teams are dedicated to creating a safe and secure environment. Through a campus-wide security culture we have recruited our tenants, staff and venues to promote security awareness, to be alert and to report the unusual. Our security presence and operations extend beyond the world-famous tent, too. The network of security awareness encompasses the local community, businesses and transport hubs. We all talk, share and complete training exercises together. One of my first learnings in a previous career was that in order to counter or out-manoeuvre those who intend to cause harm or disruption, you have to think like them. As Senior Security Officer I’m expected to conduct threat assessments, identify vulnerabilities and consider counter-measures, but I want and encourage all of the security teams, at all grades to also consider this thought-process themselves. It also makes for some; interactive sessions and I almost always become aware of a new tactic the teams have proposed. They’re the ones walking the campus, meeting the visitors and watching behaviours. They know what’s currently effective and where we need to strengthen our operations. Whilst human interaction with our visitors is key, it’s also possible to use these objectives to create effective communications and messaging. We have mapped the customer journey and introduced subtle messaging throughout to reassure visitors and deter bad persons from the security page on our website to our public address system security messaging, our broadcast screens and security fan card. All of this informs the visitors that their security is of utmost importance to us. We know some may be anxious of visiting a public event at an iconic venue with crowds of people, so our message to them is ‘we’ve got it covered and we’re doing all we can to keep you safe and sound.’ Of course, the opposing message for any adversaries is that this is a hard target, that we take security seriously and that the risk of failure for the adversary is too great, therefore deterring criminality. Ensuring our security measures are proportionate and comparable to the threats we face is paramount when getting the public on our side. We know that visitors expect and welcome security checks at entertainment venues, but they don’t necessarily want security checks to be intrusive, inefficient or slow. They want fast, professional security so they can get on with their visit and immerse themselves in the experience, whether they’re visiting to watch their favourite artist or taking a friend out to dinner to celebrate. Long queues in poor weather at security checkpoints will only alienate guests from the security teams and I need them to be on our side. I need them to be my eyes and ears. It’s up to us to design security checkpoints that consider the visitor experience whilst detecting any threats and we’ve worked hard over the last few years to get this right. There has been learnings along the way, we’ve analysed data, measured effectiveness and considered customers feedback and we are always looking at ways to improve. The O2 arena was one of the first to introduce search arches on all entrances to the arena in 2016 and we continue to lead the industry in employing the latest technologies to mitigate risks and threats, some of which are visible and obvious and some of which are more covert. 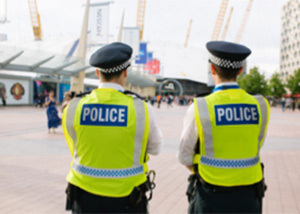 The objective of our preventative strategies is to promote the security culture at The O2, recruiting the hundreds that work at the venue to be vigilant and have the confidence to report suspicious circumstances. In return I must make sure we act on these reports and informants are kept updated with any results or outcomes. Our signage, messaging and engagement are vital to continuing this outstanding security culture. Although prevention is our primary objective, we continue to dedicate time and resources to being prepared. We exercise our business continuity and recovery plans, encouraging our teams to ponder how they would react to an event. We offer our teams procedures, advice and the opportunity to exercise and apply emergency procedures as and when necessary. Looking forward, we are excited to welcome ICON Outlet and further family attractions into The O2. 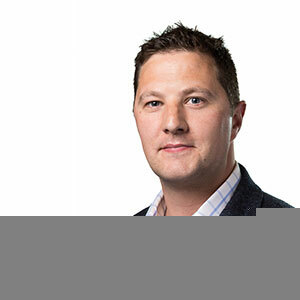 We have built strong foundations and leadership over the last 11 years, with clear objectives that allow us to face any future challenges strategically and the principles I have mentioned can be adapted to any situation that may arise. Our visitors should feel thrilled and excited throughout their whole experience with us at The O2, knowing that together with them we’re all looking out for each other.